Snopy Rampage SN-RW4 USB 7.1 Gaming Black Headset; Its ergonomic design keeps your ears comfortable for long periods of use and allows you to seamlessly chat with the internet with a high-quality microphone. The 7.1 audio feature allows you to perceive all voices clearly and independently of each other during play.It is outside sound-proof with sensitive structure. The cable is longer than other headphones and allows you to move freely. 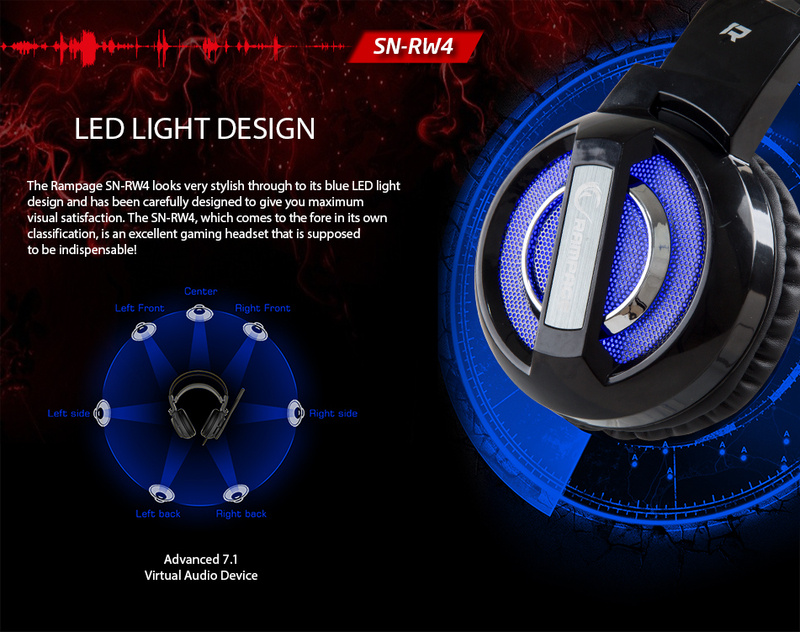 Snopy Rampage SN-RW4 USB 7.1 Gaming Black Headset; The Rampage SN-RW4 looks very stylish through to its blue LED light design and has been carefully designed to give you maximum visual satisfaction. 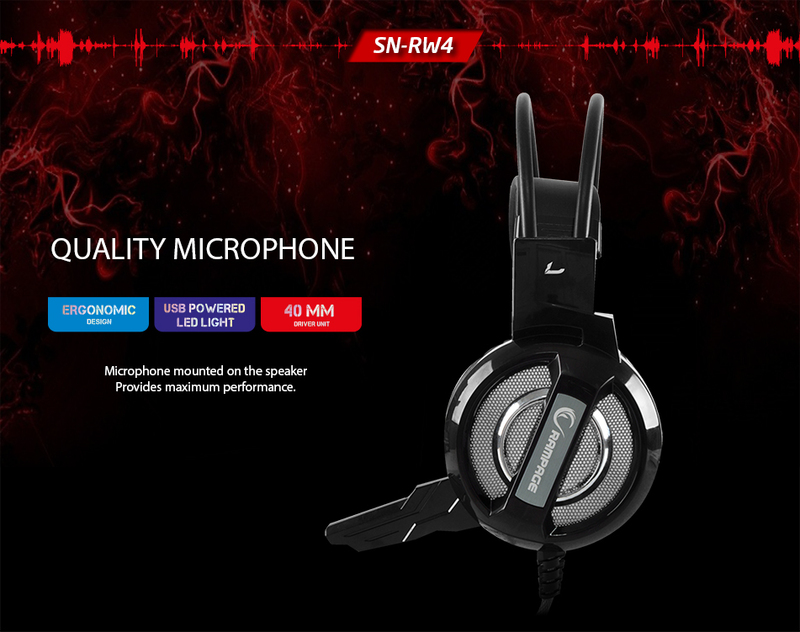 The SN-RW4, which comes to the fore in its own classification, is an excellent gaming headset that is supposed to be indispensable! 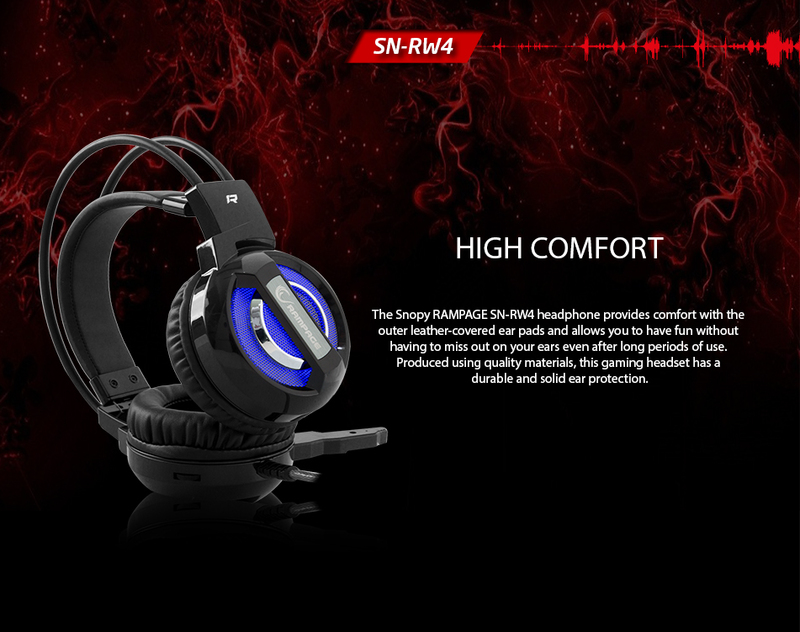 Snopy Rampage SN-RW4 USB 7.1 Gaming Black Headset; Designed ergonomically and stylishly, the SN-RW4 is a very special gaming headset. you will integrate with your game world away from outside sounds with ears cushions that provide excellent sound insulation. The adjustable soft headband allows you to use for a long time without discomfort. Stay informed of where your opponents are coming from in fps games like Counter Strike through to the enhanced 7.1 virtual sound mode feature. 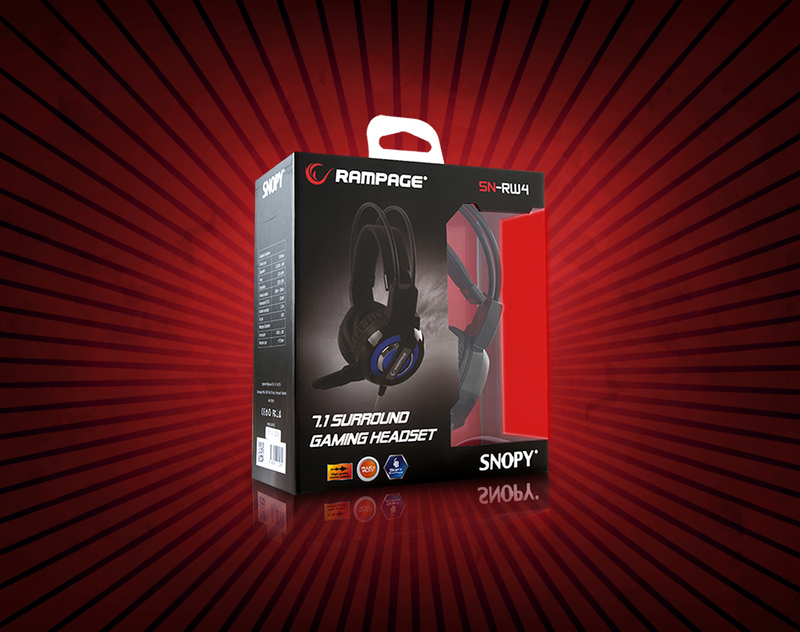 Snopy Rampage SN-RW4 USB 7.1 Gaming Black Headset; Provides maximum performance through to the speaker mounted microphone. The presence of the microphone on the speaker is much more durable and useful than the microphones on the conventional cable, protecting the microphone from external influences. No software with your headset devices etc. You can easily connect with a USB 2.0 connection without the need for tools. Snopy Rampage SN-RW4 USB 7.1 Gaming Black Headset; The Snopy RAMPAGE SN-RW4 headphone provides comfort with the outer leather-covered ear pads and allows you to have fun without having to miss out on your ears even after long periods of use. 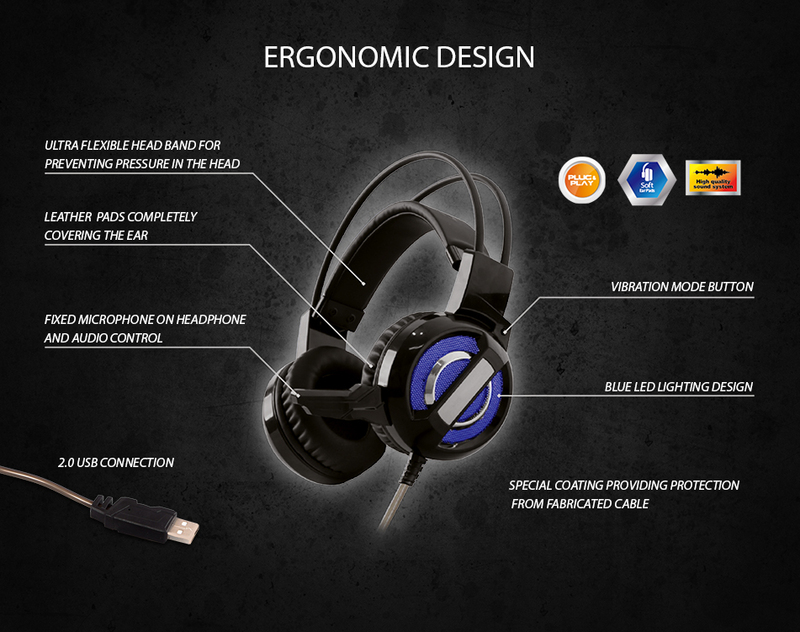 Produced using quality materials, this gaming headset has a durable and solid ear protection. 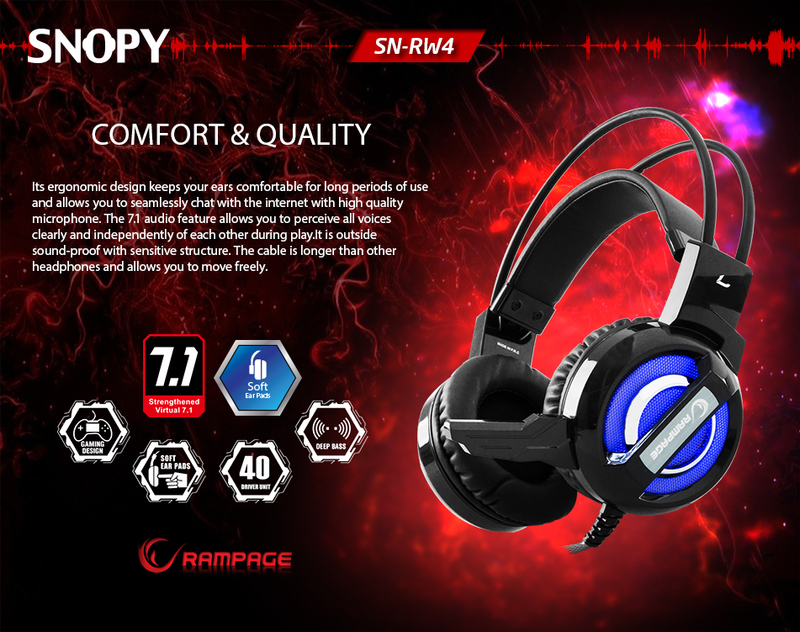 Snopy Rampage SN-RW4 USB 7.1 Gaming Black Headset; The high-quality sound system allows you to notice low, medium, high frequency sounds perfect. Less discomfort and greater comfort with large headphones that cut off external voices.